In my last post, I wrote about managing Seasonal Affective Disorder (SAD). Sitting at a cafe by the window, the mood lighting inside is definitely brighter than the grey skies outside. The drizzle is constant and the puddles invaded by rain droplets. You can interpret this as being nice and cozy or a real dread. The thing is, if you’re affected by the rainy Seattle weather, chances are, looking outside will not give you the energy boost. It might do the opposite of inducing sadness and low energy. We don’t like to feel sad, do we? Ever wonder what good is sadness? Like, why bother? After all, we all want to feel good. We chase after and try to create happy moments like eat at our favorite restaurants, go on vacations and hang out with people who matter to us. On the flip side, we stay away from negative experiences like heart breaks, bad news and surgeries. We’re good at celebrating wins but as a society, we don’t do as well being with sadness. If you look at a baby who came into the world happy all the time, it’s hard to imagine that we’re not meant to be happy, like all the time. The thing is, with time, we become acquainted with the pains of life. From abuse to social isolation, job loss to still births, accidents to illness, could sadness and other unpleasant feelings be, sadly, a normal part of the human condition? What if we’re not meant to be happy all the time; rather, it’s about living a full and meaningful life despite our circumstances?! If sh*t will hit the fan and it’s just a matter of when, could a feeling like sadness help us navigate through life’s complexities? Here, Joy is trying to cheer up Bing Bong, the imaginary friend who is grieving the changing relationship with coming-of-age Riley. Joy tries hard to get Bing Bong out of his sadness with quick reassurances, tickles, jokes and distractions. She doesn’t get it and thinks if Bing Bong were to feel his grief, things will only get worse. Sadness, on the other hand, understands his loss. She sits next to Bing Bong, tells him it makes sense for him to feel this way and lets him cry on her shoulder. While in real life, the turn around is often less drastic, Bing Bong feels better after balling candies and was more ready to move on with their journey. For the first time, Joy saw that Sadness made something better. Sadness helps us know when something isn’t right. It validates that it’s hard to be where we are but that it also makes sense to feel what we feel where we are. Our situation may stay the same, but we can feel our way through it. And because we’ve been there or can imagine what it’s like to be there, we can empathize with others and share in their pain. We don’t have to be alone in our sorrows. The next time you feel any degree of sadness, know that it makes sense. You don’t have to hurry up and get over it; nor do you have to be paralyzed by it. Cry your eyes out if you need to. Surround yourself with people who understand. Then still ask yourself, “What would make this moment full and meaningful?” and go do that. If you're having trouble being with sadness or other difficult feelings and could use some help, let me know. 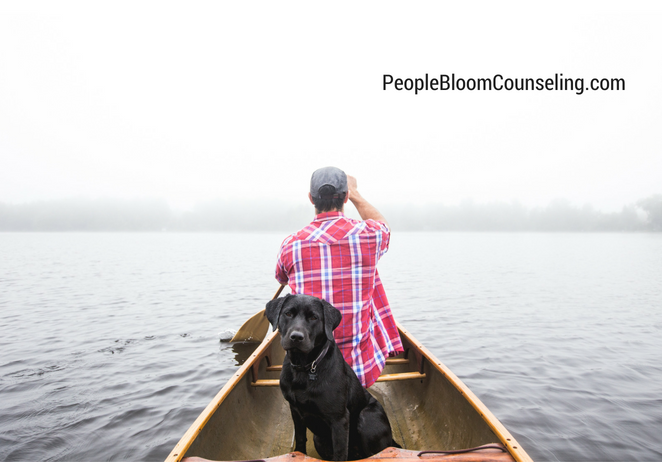 Ada Pang is the proud owner of People Bloom Counseling, a Redmond psychotherapy practice in WA. She helps unhappy couples find safety and connection in their relationship. 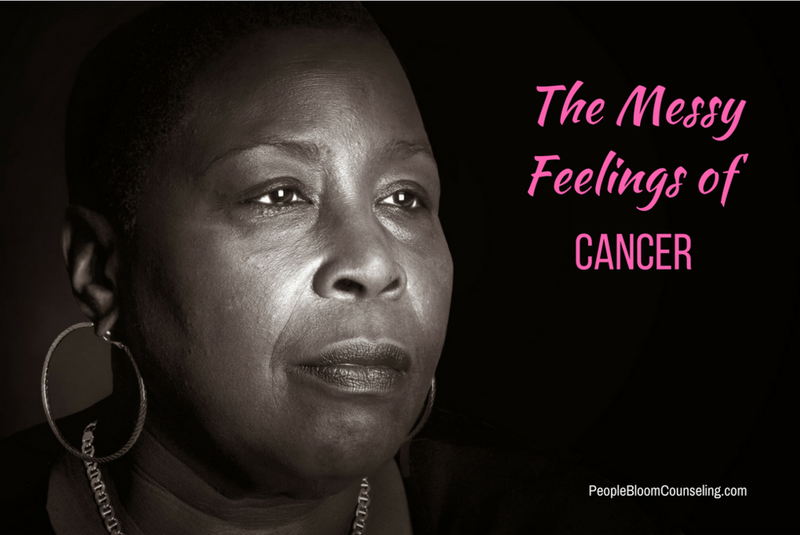 She also helps cancer thrivers and their caregivers integrate cancer into their life stories. Here at the cafe, it went from raining to pouring outside and the puddles have turned into little streams. She must go now, knowing that hiking 1.5 blocks back to the car is a part of getting back to the car. Are you Practicing Emotional Hygiene?